We’ve got some exciting news to catch you up with. 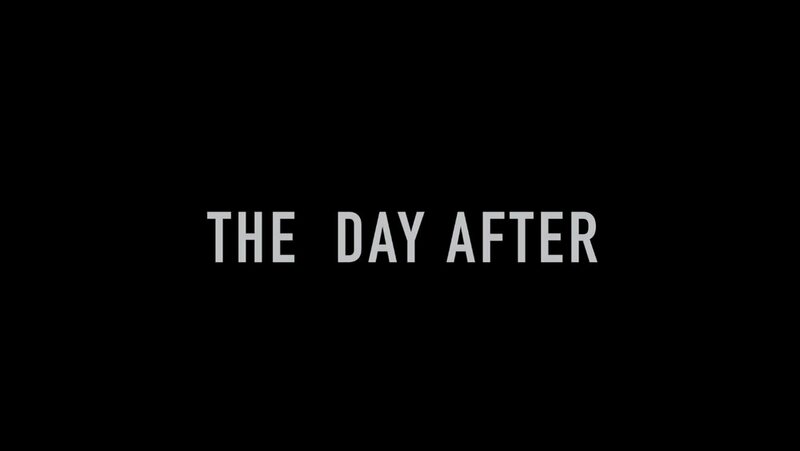 A few weeks ago, we mentioned a competition called The Pitch that we’ve entered (to win a whopping £30k) to make a new short film called The Day After. Well… the wait is now over and we are extremely proud to announce, that after being shortlisted, WE MADE IT TO THE FINAL ROUND!!! Check out the trailer which got us this far here! It was a long and agonising wait for the team to get the results, they were published a shy 1 day after the set deadline, twas slowly killing us inside... lol But it was definitely worth the wait! As you know we haven’t quite won yet but as a top 10 finalist we have won an amazing experience, a residential course in the Lake District where Jermaine will get the chance to consult with Screenwriter and Media Consultant Laurie Hutzler and prepare for "The Pitch" where we will get to pitch our film to a panel at ...wait for it... one of the world's leading destinations for the makers of film & television.. Pinewood Studios! The winner will be announced on the 15th January. Now please keep us in your prayers because we’ve got the perfect film in mind which will truly deliver FCP style. With God at the forefront and the captain of our ship we’re ready to sail the seas to win this big prize and beyond! This competition is held every year so If you would like to read more about the competition, click here for the link. Shortlists... Auditions & Germane Thinkin' Spot WHAT?! Guess what?! We’ve been shortlisted !!!!!! Okay, the exclamation marks are maybe a little OTT (Over The Top) but this is exciting news because it means that we are footsteps away from winning £30,000 to make The Day After into a short film! So let’s toast to that! This is really getting exciting here at the FCP camp! Not sure if you have been following or watching the videos on our Germane Thinking Spot segments on our YouTube channel BUT it's been getting really tense and interesting with the topics. 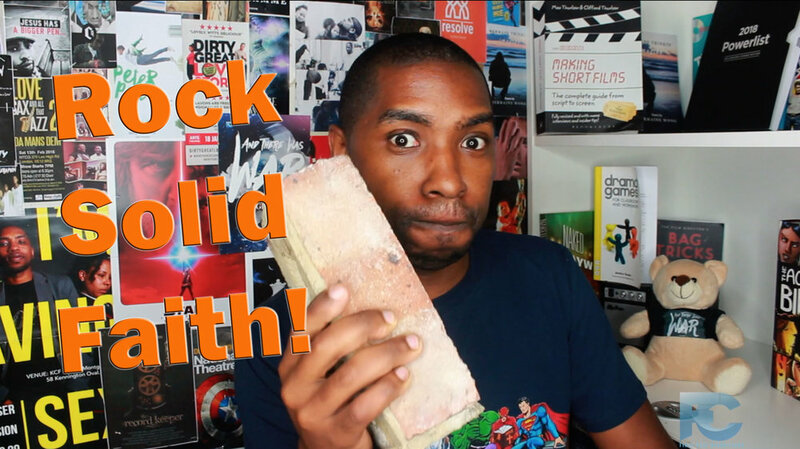 Here at FCP, we've been discussing the meaning of what it takes to have 'Rock Solid Faith' and to give you a taste have a look at this video and let us know your thoughts. We'd love to know more on what you think. So until next week! See you soon! TWO DAYS LEFT TO VOTE!!! The Day After Short Film written by Jermaine Wong considers the commonly neglected ordeal of Adam and Eve the day they were exiled out of idyllic Eden. The overall winner of the Pitch competition will be given the opportunity to make their short film with world renown producers and directors!! ...assistance which would usually cost £30,000 to finance!!! Our vision at FCP is to WIN the Pitch competition and use the 30k to bring our inspiring theatre performance 'And There Was War' from stage to screen!! (You heard it here first!). We want you to be able to grab your copy on DVD, watch it with friends and family and feel the deep emotional connection ATWW produces, in the comfort of your own home. There's only 2 days left to vote...If you haven't already, watch our thought provoking trailer of The Day After and vote for us to progress onto the next step of the competition by clicking the link below! Don't forget, watch all the way to the end of the trailer to be able to vote and share share SHARE the link too!